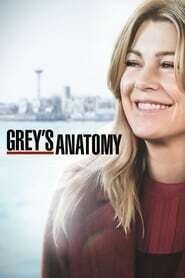 : In this Amelia-centric episode, Amelia engages in the surgery of a lifetime as a crowd of doctors look on from the gallery. With Stephanie by her side, she begins operating on Dr. Herman, but quickly realizes it's far more difficult than she anticipated. Meanwhile, Bailey becomes skeptical when Arizona takes on one of Herman’s cases.